6. Am I Honest With Myself Really? 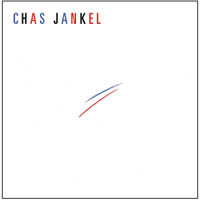 CHAZ JANKEL (he changed the spelling of his first name after finding fame with IAN DURY AND THE BLOCKHEADS – Ian thought he should be called Chaz) recorded his first solo album in 1978 at the height of Ian Dury and The Blockheads success. Chaz’s place in rock’n’roll history is assured. His song writing, playing and arranging are pivotal to the enormous respect the Blockheads still command today. The re-release of this album is a timely reminder that there’s far more to Chaz than the Blockhead years. “Chas Jankel” contains one of Chas’s most successful songs “Ai No Corrida” which he wrote with Kenny Young and QUINCY JONES had a big hit on both sides of the Atlantic with in 1981. ...what a treat...this album has a charm and groove which many modern artists should aspire to. Well worth checking out. The upbeat numbers are the highlights of the album, containing catchy grooves infected with meticulous arrangements of keyboards, guitars, drums and horns; and while Jankel handles nearly every instrument as well as the vocals, he is joined by fellow musicians (including Mark Isham and Peter Van-Hooke) who make the recording all the more vivid. The longest of these jazzy, crazed cuts runs for nearly fifteen minutes without losing its grip. For some reason though, Jankel contrasts these songs with basic, mellow pieces that are far less exclusive, giving away the momentum for a relaxing, classically oriented break. Still, this is a work filled with vision and subtleties that are rare amongst its natural territory and way ahead of contemporary club / acid jazz outfits such as Jamiroquai. If the album itself isn't enough to attract the Blockhead fans, how about the bonus 'Little Eva' which is a Jankel-Dury composition? Overall an interesting album.